We use Square as our credit card processing company. After the 3rd of each month we'll send you an invoice from QuickBooks and about 3 days later we'll charge your credit card on file. 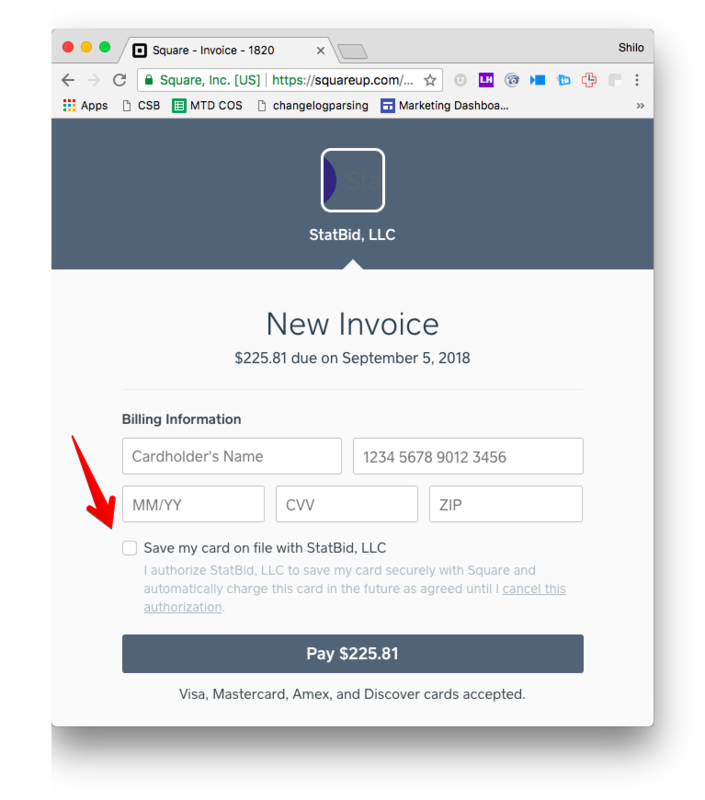 The screenshot below is from Square and you'll see a red arrow point to the checkbox to allow Square to save your credit card information for faster processing in the future. Saving a card on file saves both of our teams time each month. If you have any questions about your invoice simply email info@statbid.com and we'll get it resolved right away.